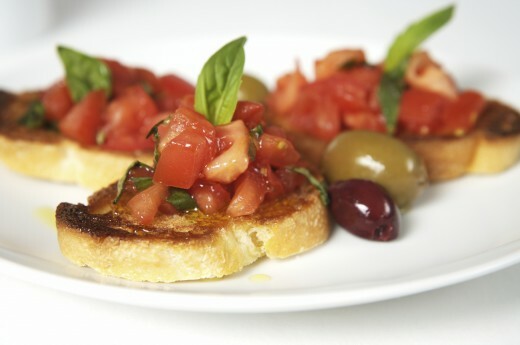 The bruschetta at the Taste of Little Italy is the bomb! From East County to the coast, San Diego neighborhoods are dishing up delicious tasting events this spring. These “Taste Of” events offer the opportunity to sample mouthwatering cuisine from each community’s best restaurants in a single visit. Kick off your spring tasting tour in the mountains with the Taste of Julian on April 9 from 1:00 to 5:00 pm. Tickets are $20 in advance or $25 on the day of the event. Participants can meander through town to sample small bites of gourmet delights like halibut Florentine, St. Louis pork ribs, wood-fired pizza and lobster bisque with sherry. On April 17, head to the Taste of Hillcrest from noon to 4:00 pm and enjoy a self-guided stroll peppered with small bites ranging from scrumptious appetizers to delectable desserts at over 50 of the neighborhood’s top restaurants. Tickets are $30 in advance and $35 on the day of the event. Still hungry? Then check out the Taste of La Mesa on May 16 from 5:30 to 8:30 pm when more than 25 area restaurants will take over the city’s Community Center for an evening of delectable dining. Tickets are $30 in advance or $40 at the door. On May 25 from 5:00 to 9:00 pm the Taste of Little Italy will dish up Italian favorites and much more. Participants who purchase tickets for $35 in advance or $40 on the day of the event can nosh their way through the hip downtown neighborhood and sample signature dishes from their best restaurants. Wrap it up on June 18 and 19 with the Taste of the Gaslamp. Each day, more than 30 eateries will be serving up tastes so visitors can explore San Diego’s busiest dining neighborhood in one fell swoop. Yum! This entry was posted in Culinary, Insider Tips, San Diego Events and tagged dining, east county, Gaslamp Quarter, Hillcrest, Julian, la mesa, little italy by Kate. Bookmark the permalink.